From a piece to camera to a music video or documentary we can provide the expertise to deliver your concept. Quality disco entertainment with high quality sound and lighting for all private events. Sound reinforcement for private, corporate or touring bands. We can provide a single speaker to a full range digital rig. Their Lovely relaxed manner gave us some beautiful candid photographs as well as some traditional ones. 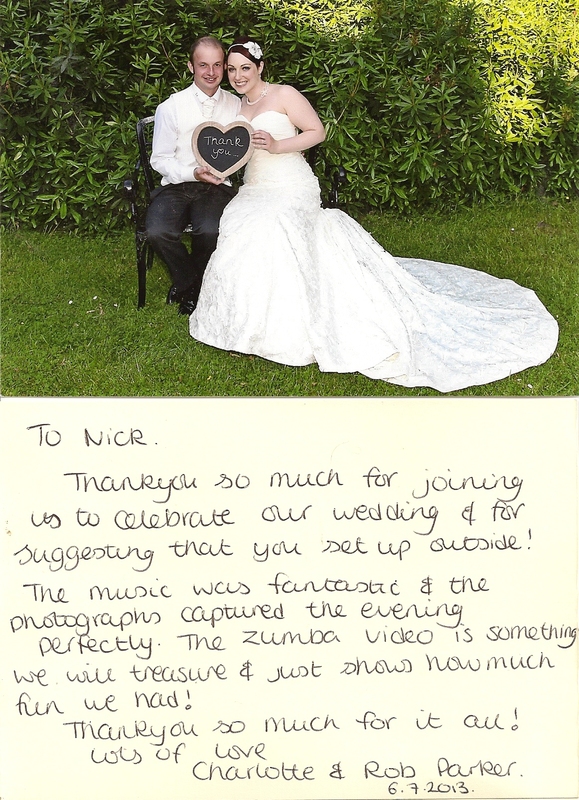 Hi Nick, we have had multiple viewings of the video and love it. Many thanks.